I’ve shamelessly nicked the title for this post from the first book I want to talk about. I was sent an article about it, so I bought it, and was so ‘well that’s just brilliant’ that I wanted to tell everyone. Spread the word. And actually, having thought I’d blog about it, other books started to find their way into my head until it was so crowded that I had to purge. So, this post is books with which to inspire your daughters. So they grow up to be rebellious. Why? Because they should be. Does anyone genuinely want their daughters to be passive and accept the status quo? Really? 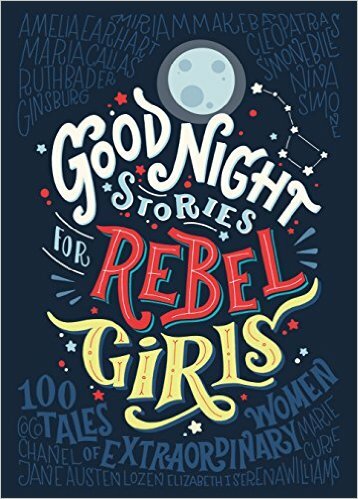 Goodnight stories for rebel girls is a collection of 100 one page biographies of inspirational women told as fairy stories. As in ‘once upon a time there was a girl called…’ etc. You cover everyone from Frida Kahlo to Elizabeth I via Hillary Clinton and Ada Lovelace. Every one is differently illustrated, and each is differently heart-swelling and inspiring. It originally started life as a kickstarter project and raised so much money that it has funded a series of workshops on female empowerment in Rwanda. I can’t really tell you anything else about it except that it’s really good and you should be buying it for your daughters of any age, or indeed your sons. But good luck with that – JK Rowling’s editor told her not to put Joanne Rowling on the cover, but to use her initials. Apparently boys are put off any book they think is written by a woman. As for a female heroine? Forget about it. Next up is pretty much anything by the graphic novelist Marjane Satrapi. I’ve talked about her elsewhere. Her book Persepolis about a girl growing up in Iran is extraordinary and the rest of her books likewise. But she’s not for the faint-hearted. I believe she may still be banned in Chicago. Or if she’s not banned then she’s not stocked by public libraries, or something equally ridiculous. 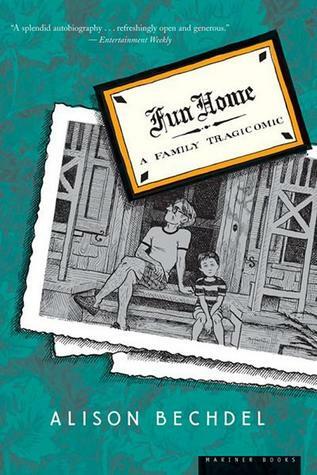 Once you’ve covered her, move onto Alison Bechdel. She’s an American lesbian cartoonist, who writes things likes Dykes to watch out for and Are you my mother? Probably her most famous is Fun Home. Also now a great musical, of course. The only reason I’m telling you she’s a lesbian is because it informs her writing, in the same way that Norman Mailer is clearly heterosexual… She’s very funny, a brilliant cartoon artist, and also invented the Bechdel test which judges any film on gender bias, specifically whether it features at least two women or girls who talk to each other about something other than a man or boy. Extraordinary how many fail. Star Wars (first trilogy), Lord of the Rings, The Avengers, The Little Mermaid! and so on. Anyway, it’s never too early to get your daughters thinking about gender bias and how to deal with it. 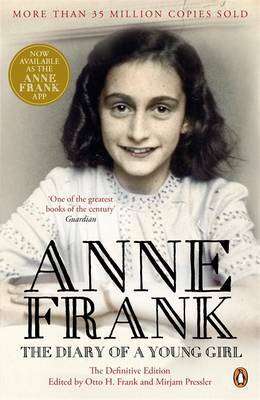 This needs no introduction and I’m sure she will read it at school. But if for some reason she doesn’t, then urge her to. The most extraordinary story of everyday heroism. Would any of us be able to do what she did? Pippi Longstocking is who every girl should aspire to be. Independent, rebellious, honest, defender of the weak, and the strongest girl in the world. She’s amazing. A sort of superhero with wonky plaits. Astrid Lindgren, who wrote Pippi, features in the Goodnight stories book, as she should. Anything by Chiamanda Ngozi Adichie. 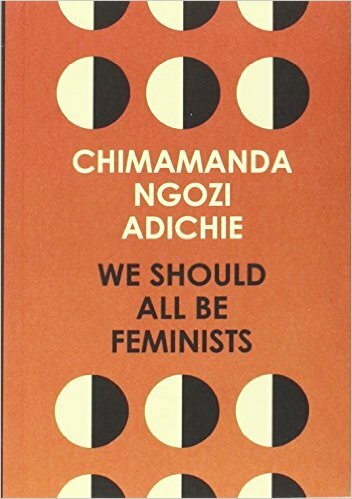 Interestingly, every 16 year old in Sweden is to be given a copy of We should all be feminists. Don’t know whether that says more about her or the Swedish government. Either way, even if you’re not Swedish, buy a copy. This is terrifying. And prescient. 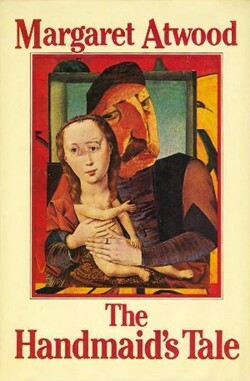 It’s set in a cold and sterile (imagined) future in the same way that 1984 and Brave New World are, but somehow, perhaps because it’s written by a woman, it’s way more chilling. As the idea that the institutional subjugation of women could become the status quo finds more and more traction, this book seems less and less like a fiction and more like a documentary or a chronicle. Other dystopias, like The Hunger Games or The Declaration, may be more accessible, and Jennifer Lawrence is an excellent and inspiring bit of casting, but they’re both clearly slightly preposterous fictions. Like all the best sci-fi, The Handmaid’s Tale is rooted in a terrifyingly credible reality. Talking of inspiring figures, step forward Lyra Belacqua. 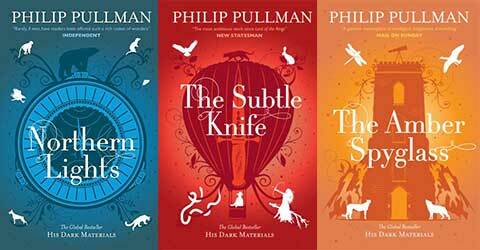 Philip Pullman’s stubborn, inquisitive heroine from the Dark Materials trilogy. So brave. So curious. A girl who is capable of earning the devoted loyalty of a super-violent, alcoholic, armour-clad bear. It doesn’t get much cooler than that. And we’ve got an origin story coming soon! Three more volumes of one of my favourite heroines ever. I feel like we’ve barely started. Lady Macbeth, Hermione Granger, Scout (To Kill a mockingbird), Alice (in Wonderland), Jo (Little women) the eponymous Matilda, Laura Ingalls Wilder, Fern (Charlotte’s Web), Anne (of Green Gables), Miss Marple, Lucy Pevensie, Miss Jean Brodie, Mary Poppins, Lisbeth Salander, Nancy Drew, Heather (A pig called Heather – I had to mention her, devoted, inspiring of huge loyalty, and downright pig-headed). Let’s not forget Lizzie Bennet who sees off Mr Darcy in Pride and Prejudice, or at least makes him work a bit. It feels like this post could go on for ever, but I’m going to end with two graphic novels/comics. Madeleine and Eloise. ‘In an old house in Paris that was covered in vines, lived twelve little girls in two straight lines. In two straight lines they broke their bread, brushed their teeth and went to bed’. And so it goes on. Madeline is the smallest of the twelve, but the only one who is personified. She has adventures, she’s fearless, loyal and knows instinctively how to ensure right triumphs. And it’s written in the most elegant, effortless rhyme! 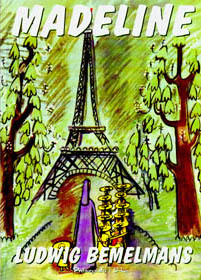 Ludwig Bemelmans was first and foremost a painter, who has said he only wrote the words so that he would be allowed to do the pictures. Eloise is a very different character. Every child’s fantasy of living in a hotel is brought graphically and explosively to life. 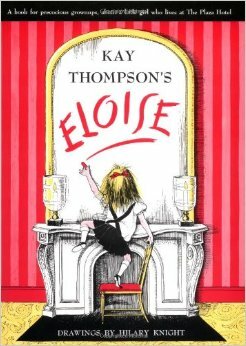 Eloise is amazingly naughty, and a fantasist, and has pets, and gets into amazing amounts of trouble. She’s awesome. She makes Horrid Henry look like Perfect Peter. A friend of mine called her daughter Eloise purely because she loved the books so much. And the drawings are amazing. And what’s more, for an illustrated children’s book, the vocabulary is fantastic, eccentric, and challenging. As it should be, when you are teaching your daughter to meet the world head on.